Your wedding day is one of the few times in your life that you absolutely must be the most gorgeous girl in the room (the first time you run into your ex, notwithstanding). 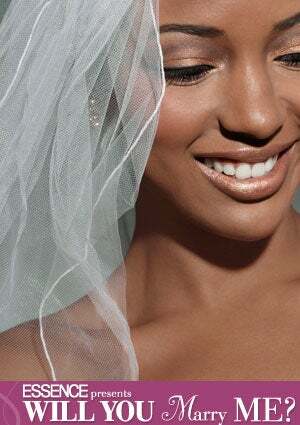 The key to bridal beauty? Radiant, lit-from-within skin. The good news is, you can start prepping for your fresh-faced, “big day” glow months in advance. Read on for top tips from our experts. DO use a daily sunscreen, even in the winter. We tend to think that brown skin isn’t affected by the sun, but those damaging rays can hit us just as hard (think hyperpigmentation and uneven skin tone). Start applying a lightweight, daily sunscreen with UVA/UVB protection like Aveeno Daily Naturals Positively Radiant Natural Moisturizer, SPF 30 ($17). “You should never go outside in anything less than an SPF 30,” advises dermatologist Dr. Ariel Ostad. DON’T eat foods with a high salt content, and avoid drinking alcoholic beverages. We know it’s hard with all those wine and dessert tastings, but salt, sugar and alcohol can contribute to break outs and bloat your face. Stick to veggies and good old water or, if that gets boring, spike your water with antioxidant and vitamin-infused Glowelle Powder Sticks ($40). “[The powders] improve skin tone and give you five to seven servings of fruit and vegetables per day,” says dermatologist Dr. Jeanine B. Downie. DO develop a skin care regime and stick to it. “Incorporating a skin care regimen as part of your daily routine is critical to maintaining healthy skin,” says Dr. Ostad, who suggests choosing a cleanser, toner, and moisturizer that works for your skin type (if you’re not sure, schedule an appointment with a dermatologist to find out). No matter your type, though, avoid skincare products containing sodium lauryl sulfate, or hard soap, which dries out skin and causes irritation. Neutrogena has an award-winning, extensive selection of products for every skin care need. DON’T stress yourself out. “Stress has been scientifically proven to cause skin disorders,” says Dr. Ostad. “Your skin is like a photographic diary of your lifestyle, and there is a direct correlation between the skin and the mind.” If you start to feel stressed, hit the gym! “Exercise balances hormones and boosts the flow of oxygen-rich blood to your skin, which creates a beautiful, healthy glow,” says Dr. Ostad. DO consider an aesthetic treatment. “Consider botox or fillers, but do them long before the wedding to make sure that you’re comfortable with how you look,” advises Dr. Downie. Light chemical peels that contain glycolic acid or salicylic acid are also great options for evening-out skin with acne scars or hyperpigmented areas. Always consult with your dermatologist, first.